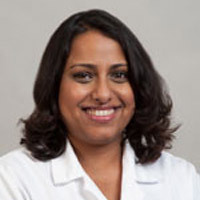 Dr. Bhattacharya joined the UCLA faculty in 2006, and she specializes in the management of HIV and HIV/viral hepatitis co-infection. She graduated from the seven-year accelerated medical program at Boston University, receiving her MD in 1997 and then trained in internal medicine at Baylor University in Houston, Texas and completed an infectious diseases fellowship at Stanford University. She has HIV clinics at the CARE Center and an HIV/viral hepatitis co-infection clinic at the West Los Angeles Veteran's Affairs Medical Center. Her research involves identifying molecular and clinical predictors of viral hepatitis outcomes in HIV co-infection, as well as studies evaluating the predictors of clinical outcomes in HIV/HBV co-infected patients in South Africa and mother-to-child transmission of HBV in HIV/HBV co-infected pregnant women.